I decided to attempt Ludum Dare this time around; it’s been 8.5 to 9 years since I did the last one. I’m working on a game for the SNES using PVSnesLib. The theme is evolution. 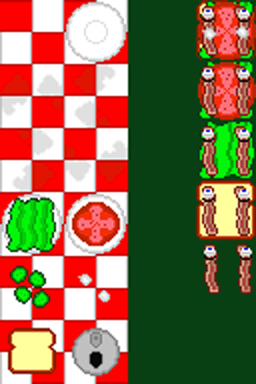 I chose to base my games on the evolution of a BLT sandwich; and develop a vertical scrolling shooter where you attempt to evolve from bacon strips to a full BLT sandwich utilizing power ups.